Take two plastic cooking pots. Wearing some nice yellow plastic gloves fill half way with water and then add the magic ingredient…….Brown Dettol. Warning: Dettol is harmful to your hands and will dry them out,so use gloves. Also either use a well ventilated area as Dettol stinks or work outside. I have tops to my pots to stop the smell. 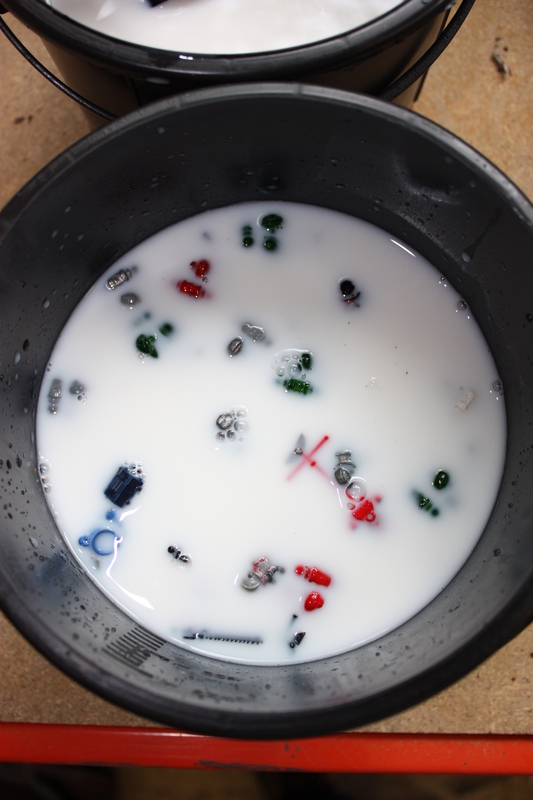 Two plastic caps full of Dettol were added to each pot.The mixture was then gently stirred.It will turn milky white. Now leave for 2 hours. Depending on how much paint is on the figures you can leave them over night or longer and even use neat Dettol if required. Dettol will remove paint from plastic and metal figures but has been known to damage finecast figures.Saying that I have left a finecast figure in dettol for over two weeks with no ill effects. After 2 hours are up and wearing your gloves start brushing off the paint(an old tooth brush or washing up brush is ideal). If it wont come off leave to soak for another few hours or soak over night. 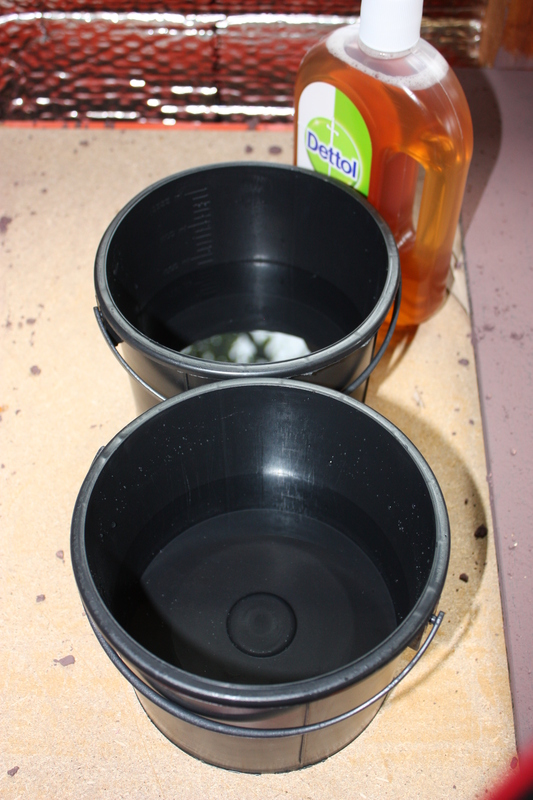 cleaning in water will harden the paint again. Final point to be aware of.Some times you get really sticky paint/black gloop that will not come off the model. If you dip the figure in white spirit for a minute it cleans up the figure very well. Note that leaving your plastic figure in white spirit for a prolonged period will result in the plastic being eaten. Metal models are fine.